Downloading, converting and playing are the three functions that YouTube Mate lets you carry out on the videos hosted on YouTube. It's a powerful easy-to-use tool to download any content from this video site via streaming, which is later adapted to be played on both PCs and portable video and audio players. A three-in-one for YouTube videos. Support for several simultaneous downloads. Save files keeping their original name on YouTube. Convert to video and audio formats such as MP3, MP4, MPEG-2, MOV or WMV, among others. 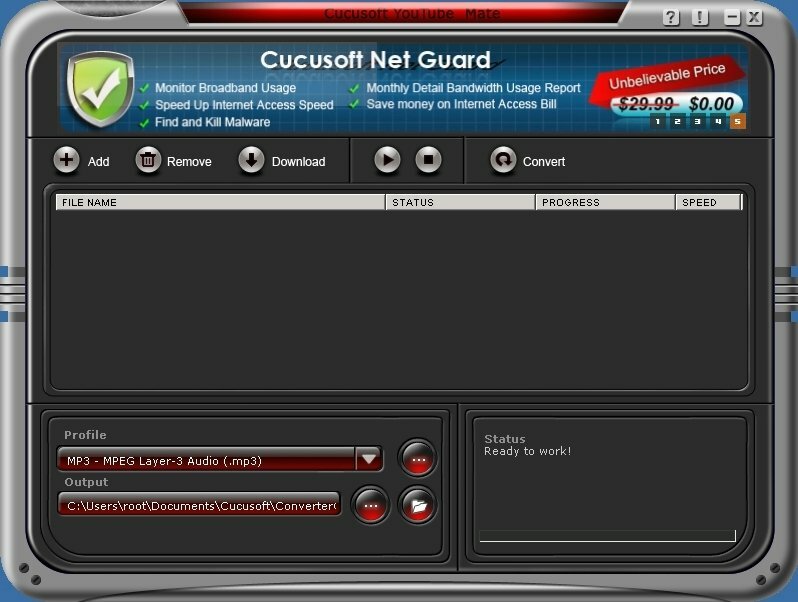 In order not to have any problems with Cucusoft YouTube Mate, its assistant will guide us through the entire process. This tool guarantees that we'll be able to make the most of YouTube whenever we want, even when offline.